British rockers Bad Touch are following their UK tour supporting King King, their Planet Rock Roadstars UK tour with Broken Witt Rebels and their October 2017 tour with The Kentucky Headhunters with a headline trek around Britain alongside special guest Mollie Marriott. The tour begins on November 9, 2017, at Sheffeld's Corporation and concludes on December 2 at Southampton's Talking Heads. To coincide with the tour Bad Touch have released a cover version of Tina Turner's 1975 classic, Baby Get It On, featuring guest vocals from Mollie Marriott. Formed in 2010, when the band members were still in college, the Norfolk five-piece initially played local pubs, performing covers of rock classics. They gradually began to compose original material and started making a name for themselves. In 2012, the band recorded their first EP at the Leeders Farm Studio, home of local heroes The Darkness, and won the Exposure Music Award for their live shows, followed by an invitation to play the Hard Rock Hell festival. The following year, 2013, was a great one for the band. They toured the UK with The Quireboys and won the Marshall Ultimate Band Contest. In 2014, they toured with Bonafide, The Electric Boys and Tyketto and played many festivals including Download, Steelhouse, Legends of Rock and Hard Rock Hell. In 2015, the band recorded their debut album, Half Way Home, and toured with The Answer, Tyketto and Snakecharmer. 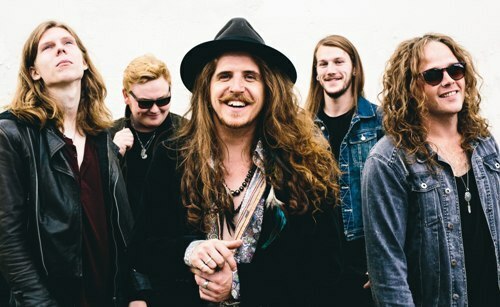 Last year there were tours with Jared James Nichols, The Kentucky Headhunters and Australian band Massive, and a second album, Truth Be Told, which celebrates classic rock with Southern boogie influences and heavy guitar riffs in the tradition of Black Crowes, Lynyrd Skynyrd and Led Zeppelin. 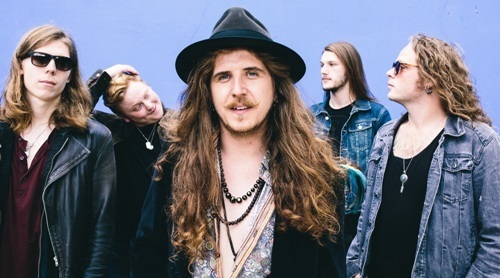 The current line-up comprises Stevie Westwood (lead vocals), Rob Glendinning (guitar), Daniel Seekings (guitar), Michael Bailey (bass) and George Drewry (drums).